Do you have stress in your daily life, hormone imbalances, infertility, or Hashimoto’s hypothyroidism? Do you start your mornings with a “treasured cup of coffee?” As far as your body is concerned, that lovely and seemingly harmless cup of coffee could be tantamount to getting mugged or running from a hungry lion. The physiological reactions caused by caffeine are the same reactions triggered by fear, worry, or acute stress. We are meant to feel rested and alert in the mornings. Waking up and feeling unable to get out of bed, or needing a large cup of joe to get going may suggest a hormone imbalance, specifically when it comes down to your adrenals. The adrenal glands sit atop each kidney and release a hormone, called cortisol. This hormone keeps your body regulated during times of stress, supports blood sugar and the immune system regulation, as well as metabolism. Cortisol also plays an important role in the sleep-wake cycle, so that you feel tired in the evening and alert in the morning, and are able to sleep soundly through the night. In fact, the health of the entire body relies in part on sound adrenal function: immune health, digestive operations, brain function, and more. Proper adrenal function also plays a critical role in thyroid regulation and hormone balance (needed with fertility and overall hormone health). Depending on caffeine is a sign of adrenal imbalance. A morning cup of coffee stimulates the adrenal glands to release “fight-or-flight” adrenal hormones. This raises your heartbeat, dilates your pupils, tightens the muscles, raises your blood pressure, slows blood flow to the stomach, and releases glucose into the bloodstream. Together, these effects on the central nervous system boost energy. The body designed this response to help us get out of a dangerous situation by either running or fighting. However, these days, many use the same response just to get ready for work each morning. Giving up coffee is hard and can come with unpleasant withdrawal symptoms. This is partly because caffeine also stimulates the release of dopamine, a neurotransmitter that activates the “pleasure and reward” centers in the brain and is associated with addiction. This also means over time you need more caffeine for the same effects. For the person suffering from adrenal dysfunction—producing too little or too much of adrenal hormone—caffeine can intensify your adrenal problems, which can worsen your thyroid issues, impact fertility, and worsen autoimmune disease. Although it gives you energy, it’s a short-term fix with long-term consequences making an existing problem worse. In addition to taxing adrenal function, caffeine can cause sleep problems, irritability, anxiety, and high blood pressure. It’s also a diuretic that can deplete you of important minerals and electrolytes. Because coffee makes many people sleep poorly, they feel terrible in the morning and drink coffee to get going, which makes them sleep poorly in a self-perpetuating vicious cycle. Restoring adrenal function is foundational to managing many health issues in functional medicine, including chronic disease, autoimmune disease, hypothyroidism, obesity, blood sugar imbalances (insulin resistance or hypoglycemia), fertility, and other disorders. In some instances, with autoimmune Hashimoto’s hypothyroidism, caffeine can actually worsen autoimmunity. This concept is well-discussed in Dr. Kharrazian’s book Why Do I Still Have Thyroid Symptoms When My Lab Tests Are Normal? This isn’t to say coffee is all bad. 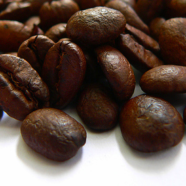 Although some studies show negative consequences from caffeine, others show its benefits. As with many things in health, it is something that must be considered on a case-by-case basis. I am interested in learning more about the connection of coffee and hormone balance. Can you direct me to your references for this article, or further reading?